Dairy-free no longer means giving up yogurt. There are now dozens of options on the market! But I must confess that some might not meet your expectations. So we taste-tested our way through every offering and product line we could find and identified the 10 best dairy-free yogurt brands on the market. They all happen to be plant-based, vegan, and carrageenan-free. 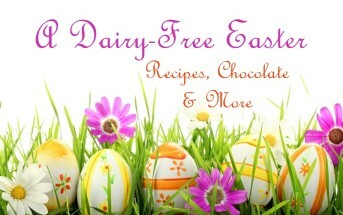 And you will find many nut-free, soy-free, coconut-free, and even paleo options. Enjoy our countdown below of coconut, almond, cashew, soy, and top allergen-free yogurts. Then comment with your favorite! We found well over 20 dairy-free yogurt brands (by individual product line) to taste test. But these are the ones that will make it into our shopping cart again. For Low Sugar Needs: Please note that the nutrition facts and ingredients are one sample flavor. If they had a “Plain” we used that one. We purposely used a sweetened variety, if they have one, so that you could see what type of sweetener the brand uses, if any. Several of these do have no sugar added / unsweetened varieties, so be sure to read the details if you are looking for lower sugars! Formerly known as O’Soy, this yogurt line once had some confusing dairy labeling issues and later a recall. To shed their spotted past, Stonyfield is rebranding with a bolder “dairy-free” label (shown below) and without the O’Soy name. This yogurt brand isn’t quite as great as long lost WholeSoy, but it still covers organic soy yogurt needs with good flavors and a smooth consistency. And it’s a fun option for “fruit on the bottom” fans. Remaining Wishes: They don’t currently have a plain or unsweetened flavor, which could really round out the mix. Note: We just found out this line is discontinuing, but we expect new things from the Dream brand soon. 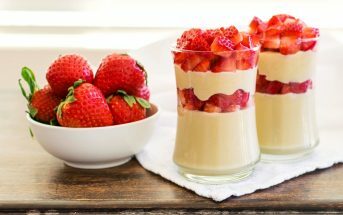 This dessert-worthy yogurt has a consistency that’s quite similar to “traditional” low-fat dairy-based yogurt, but with less tang, and more flavorful sweetness. 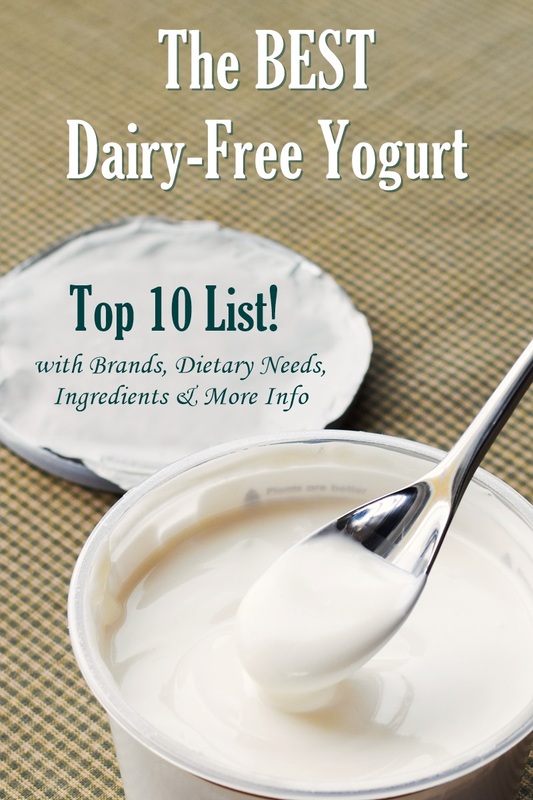 I wanted to add Almond Dream to this top 10 list of dairy-free yogurt brands, too (it’s also sweet and flavorful). But the consistency of that product line is too inconsistent – sometimes creamy, sometimes gelatinous. 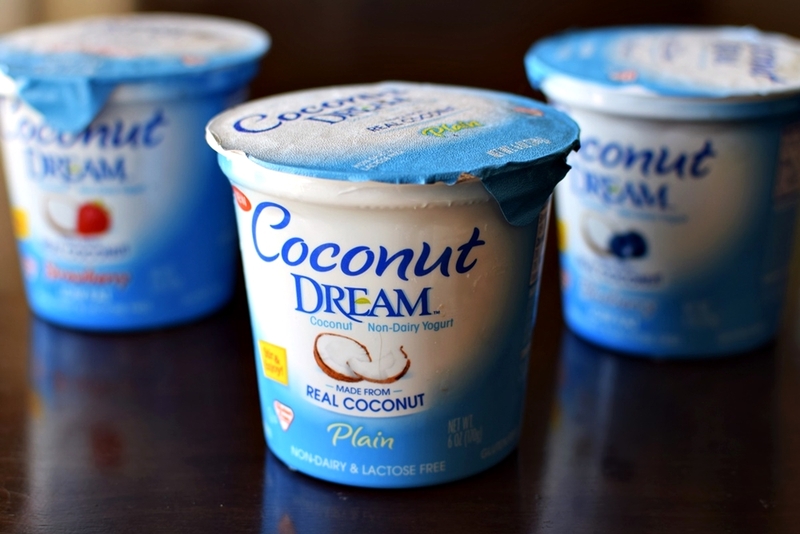 Thus far, we haven’t seen any issues with Dream’s coconut line. Remaining Wishes: Even the plain is a little too indulgent for breakfast. We’d love it if they offered some lower sugar options and added a squeeze of lemon to help the flavors pop. Until they do, I recommend adding a little lemon yourself! This is the best top allergen-free, coconut-free yogurt that we’ve tried. It’s tough to make yogurt without dairy, let alone nuts, soy, and coconut. But Good Karma pulled off a very “yogurt-y” consistency. It’s quite creamy instead of gelatinous. The flavor is a bit sweet, but this can be necessary to counteract protein bitterness. And the nice big fruit chunks made it feel a little more wholesome. Remaining Wishes: A bit more work on the Plain variety would be great. It had strange sour undertones and didn’t have as smooth a finish as the fruity flavors. This very virtuous brand disappeared several years ago, but it was purchased by GT’s and brought back to life! It’s the “cleanest” on the market and has a unique, but tasty, effervescence. And it boasts a whopping 25 billion probiotics per 1/2 cup serving with no added sugar. Remaining Wishes: I know this can be challenging with high quality products, but a price reduction would be helpful. It’s on the indulgent side of the grocery budget. 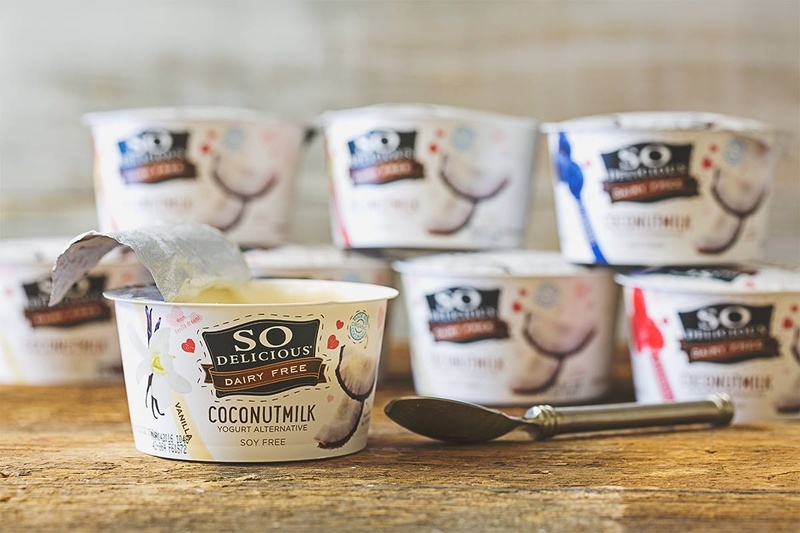 In recent years, So Delicious abandoned their other dairy-free yogurt brands to focus exclusively on their classic coconutmilk line. Now they have a plethora of flavors in single-serve cups and multi-serve tubs that can be found in grocers everywhere. 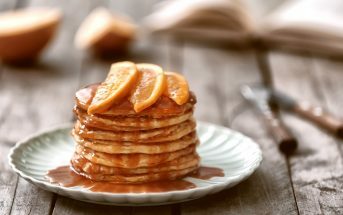 I’m most loyal to their Unsweetened variety, which offers so much versatility in recipes and seems to work the best with their carrageenan-free formula (they removed the carrageenan a few years ago). Some of the fruit flavors can be a little lumpy depending on the batch. Remaining Wishes: I hope they smooth out the consistency in all of the flavors. I believe this is the highest protein option on the market, and without any added protein. Consequently, it has a very smooth consistency that beckons to dairy yogurt. In fact, Tony exclaimed “Yoplait!” when he sampled one of the flavors. It’s satisfyingly sweet with a slight tang. The cups come only in flavors, but you can buy the lower sugar Plain variety in larger tubs. Remaining Wishes: We’ve yet to find an unsweetened soy yogurt, and would love for Silk to emerge with one! Holy uncow! It’s straight up cultured coconut cream. This stuff isn’t cheap, but it’s so unbelievably thick and rich that I usually break one serving into three. It’s the perfect healthy dollop atop granola, fresh fruit, or even dessert! Coyo used to use stevia to sweeten, but it was cut from the formula. Now this flavor-on-the-bottom brand doesn’t use any added sweeteners. Remaining Wishes: Of course, a more affordable price would be great, but I know that coconut cream this rich doesn’t come cheap! Ingredients (Natural Flavor): coconut cream (coconut extract, water), tapioca, pectin and probiotic cultures; b. bifidum, b. lactis, l. acidophilus, l. casei, l. delbrueckii subsp. bulgaricus, l. rhamnosus, streptococcus thermophilus. Forager’s original Cashewgurt line isn’t bad, but it lacks well-rounded flavors and a full-bodied consistency. This newer Coconut Cashewgurt line picks up where it left off. 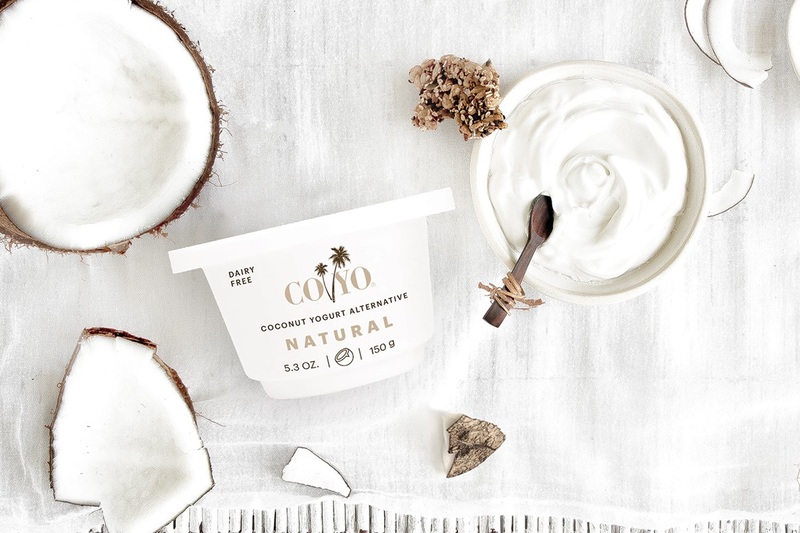 Both of their dairy-free yogurt brands are made with cashews and coconut, but the latter has a higher ratio of coconut cream for a richer finish that melds nicely with fruity flavors. Remaining Wishes: A versatile Unsweetened variety would be nice, and so would a larger serving size. You get just 4 ounces in this yogurt cup, compared to 5.3 ounces in your average yogurt brand. I found a DELICIOUS dairy free yogurt at Wegmans. It is from a company called The Coconut Collaborative. They have 3 or 4 flavors and by far has the most dairy-like tasting notes and texture without actually having dairy. Remaining Wishes: For the price, a slightly larger size would be great. These are on the smaller side for yogurt cups (about 4.23 ounces). 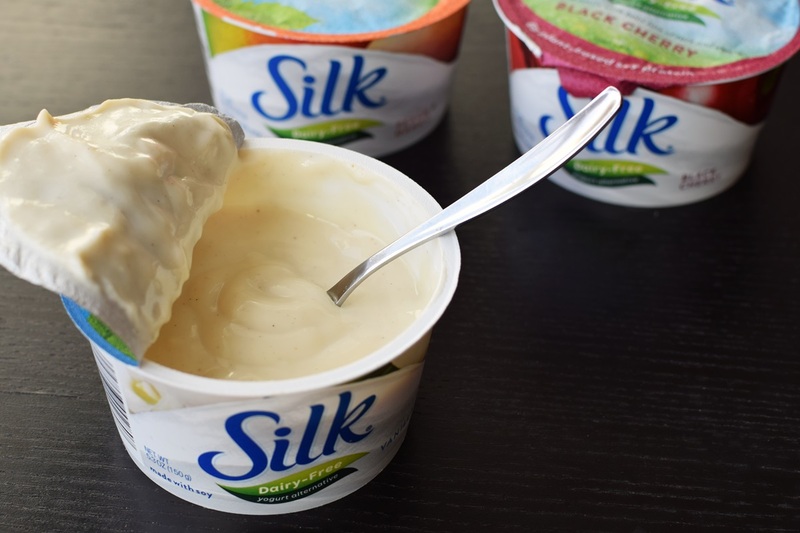 Silk struck the perfect balance between simple wholesome ingredients, creamy consistency, and delicious flavor with their almondmilk yogurt line. Unlike many dairy-free almond-based products, they use a good does of real almonds to provide richness and nutrition. 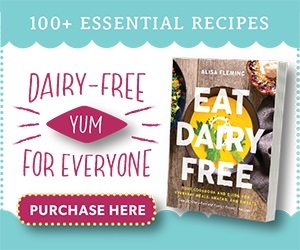 In fact, it’s such good quality, that you can make amazing dairy-free yogurt cheese with it! Favorite Flavor: Plain, Dark Chocolate Coconut, Peach … we can’t choose! Remaining Wishes: I don’t want them to change the current flavors, but a lower sugar line to compliment these and an Unsweetened variety would be wonderful. *Know Your Needs! 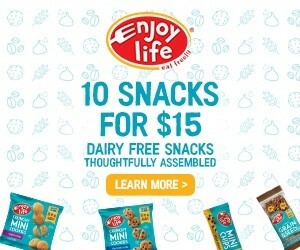 By ingredients, all of the products listed above are dairy-free. Nonetheless, check with the company on their manufacturing processes for all varieties if potential allergen cross-contamination is an issue for you. All products are at some degree of risk for cross-contamination with allergens, but you must determine if the protocols are safe for your needs. Also processes and labeling are subject to change at any time for any company / product. Yogurt is a very personal thing. Many of you will like these other brands, and we think each one has merits. They just didn’t make the top 10 this time around with our taste-testers. Almond Dream Non-Dairy Yogurt – This used to be a favorite, but they changed the consistency to be a bit more gelatinous. (This line is discontinuing, but we expect new things from them soon). Daiya Greek Style Yogurt – This is a top allergen-free line that is pretty easy to find and usually quite thick. 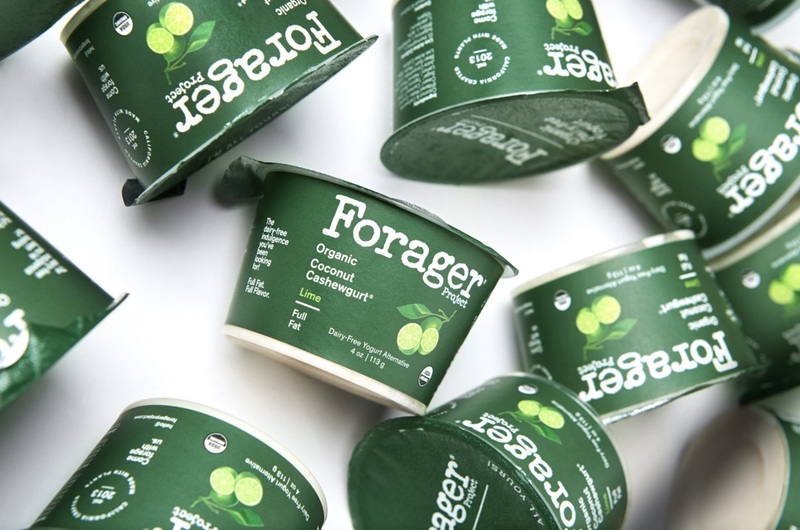 Forager Cashewgurt – I really like the unsweetened, but it’s missing the rounded out notes that their new coconut line has and that many other brands hit on. Kite Hill Artisan Almond Milk Yogurt – We had big consistency issues with the product in taste and texture – even between the same flavor. Hopefully they can fix the inconsistency issues. Kite Hill Almond Greek-Style Yogurt – This is a good option for high protein and lower sugar. Again, we just had some big consistency issues between flavors. Lavva Plant-Based Yogurt – This is a top allergen-free and very nutritious product that’s made with no sugar and a very unique base. But flavor kinks need to be worked out. Ripple Greek Yogurt Alternative – This top allergen-free brand is stocked with protein and is very thick. It just has bitterness from the protein itself. Trader Joe’s Coconut Yogurt – A great convenience for Trader Joe’s shoppers! It was just a big miss on taste for us. Vega Protein Cashewmilk Yogurt Alternative – This is a very high protein option. The functional aspects just got in the way of making it a top contender. We weren’t able to access some regional brands and some brands that are only available outside of the U.S. Which Dairy-Free Yogurt Brands Do You Love? Don’t be shy! Do you love one that didn’t rank in our top 10? Did we hit the mark for you? Did we miss a good dairy-free yogurt that you can buy? Everyone wants to hear YOUR opinion too! What yogurt is dairy free, soy free with high probiotic is in north florida?? Hi Carl, I couldn’t tell you what’s available in your area. You’d need to check with the store locators. There is now an unsweetened plain Forager Cashewgurt — that you wish for above — but it tastes a bit like glue to me… not sure what glue tastes like, but I imagine it tastes like the Cashewgurt. Will have to try some of the others. I wonder about the comparative environmental effects of cashews, soy, almond, coconut. I used the unflavored un sweetned for eating and adding to dishes that require sour cream. So Delicous said plain on label but was sweetned tasted so bad we threw away. I love their plain cocnut milk. Would LOVE to know which of these have fruit/flavoring on the bottom. Any chance you could specify this, even retro actively?? Or list any that are fruit/etc on bottom here in comments? Hi RJ, I did note if they are fruit on the bottom. If you read through, that is included already. 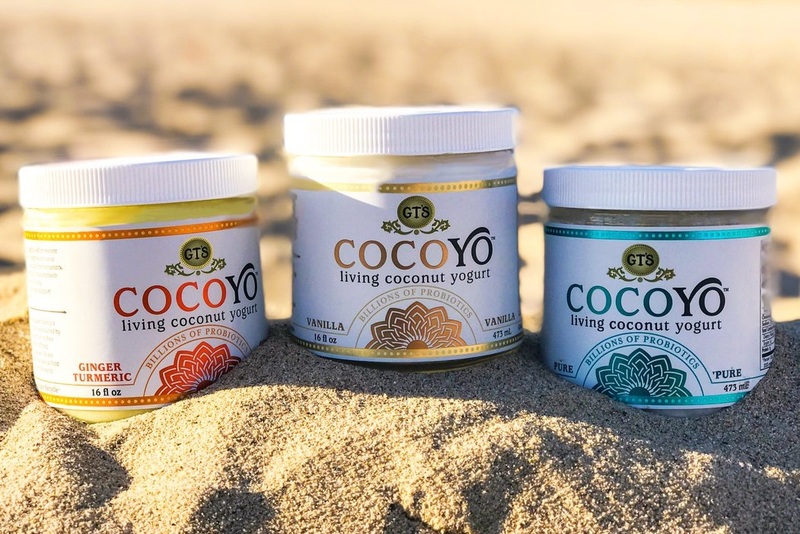 There is a new brand of coconut yogurt Rico in California, LA area. Still small but big following here in Venice and available at local Wholefoods, Erewhon and other health stores. Rich creamy taste and no tangy flavor. Can’t wait to see if they expand distribution. Thanks for sharing Simone! Only tried So Delicious Silk yogurt, like vanilla, strawberry, mango, thought they were all good! We definitely agree with your tastes Tina! My naturopath doctor said to avoid too much soy as an alternative to cow’s milk. I am dairy free, but I struggle to fine a yogurt that is soy free, unsweetened with a consistency that mimics Dannon, whole milk, plain. I have been eating that with fruit and muesli for the last 20 years, and I am miserable without it. I am a teacher and need a quick mini meal since I eat small amounts throughout the day (hypoglycemic). What do you suggest. I will try to find the COYO Coconut, but in rural upstate NY, it is not easy to find the brands and flavors suggested in your excellent article. 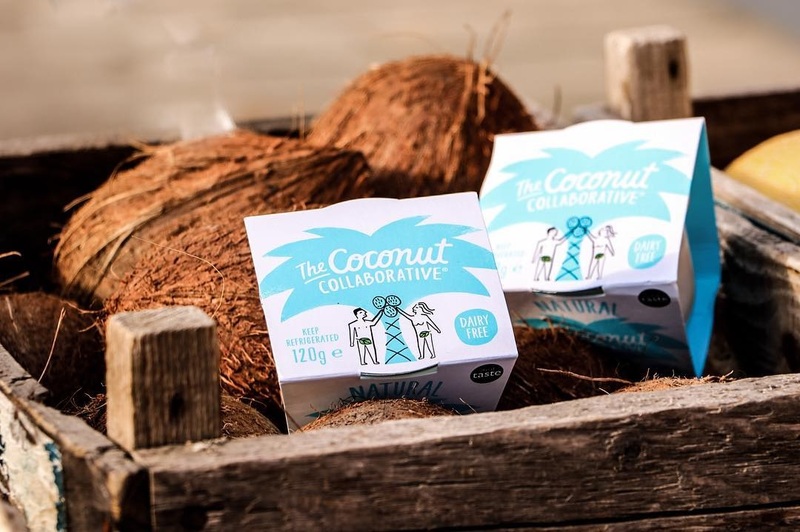 The Coconut Collaborative might also work. No chocolate with non-dairy, right? Hi Jean, the So Delicious Unsweetened I mentioned should be available in your area. I love that there’s so many nondairy yogurts to chose from. I really like the new Daiya yogurts, especially the ones that have a separate comportment of toppings! I tried one of those and it was great! Those topping really make it. THANK YOU for this awesome resource! I always try new brands when I see them, and love to have solid expert experience like yours to help guide my next choices. I will be looking for these! Thank you Kristina, glad you like it! Thank you for sharing such an amazing list! Vegan options are not always easy to see as many stores have them all mixed together. We enjoy forager and coyo, but we use what we can find sometimes. I have the same problem locally, it’s like a treasure hunt to find them sometimes! Thanks for doing all the work for me? Just kidding, I love reading your reviews….just so informative and well written. 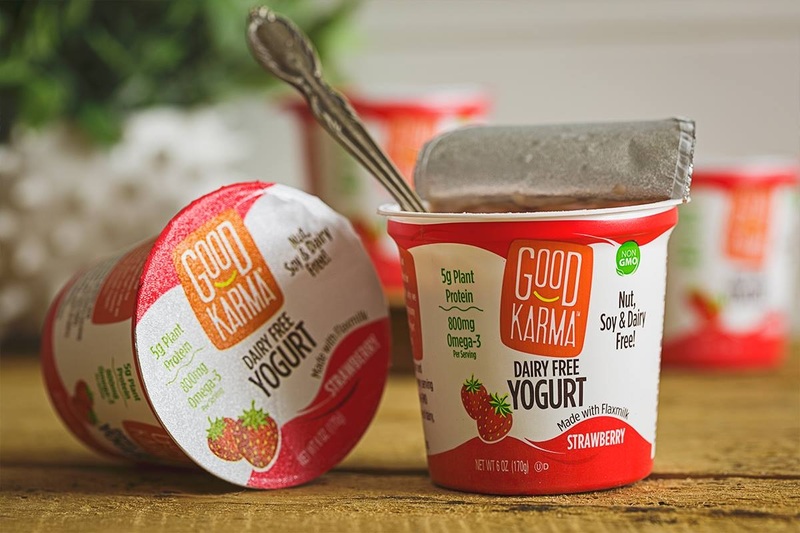 We have to stick with the allergy-friendly (totally nut-free) brands, so have been using a lot of Good Karma, just to be safe. Good Karma is a great option – it truly made the ranks. I think the other allergen-free, coconut-free ones we tested all had merits, too. I’m curious when chickpea yogurt is going to appear, haha (only half joking here!). I LOVE COCOYO & COYO Yogurt both so creamy and decadent. Such a good article for those of us looking for the best yogurts out there! This is a phenomenal review, Alisa. We don’t get many of these brands in Canada, but whenever I see brands in the US that I want to try – I hesitate! Now I have a ‘cheat sheet’ at the ready. Your reviews are the best. You have integrity in your work and put so much into these posts to cover all options. Thank you for doing so! Thank you Dreena, so kind of you! I was hoping would could get more Canadian brands on the list – you need more options up there! I prefer Coyo unsweetened. It is SO rich and thick I can eat 1/4 cup with some fruit and it is very filling. It also works great as a savory substitute. I often mix in some salsa and use it as a topping on tacos etc. It does get thicker the longer it is in your fridge to the point of solid (like coconut cream)….so it is best to buy the packages with the farthest out Best By date. Thanks for sharing these tips Melissa! This is so helpful! 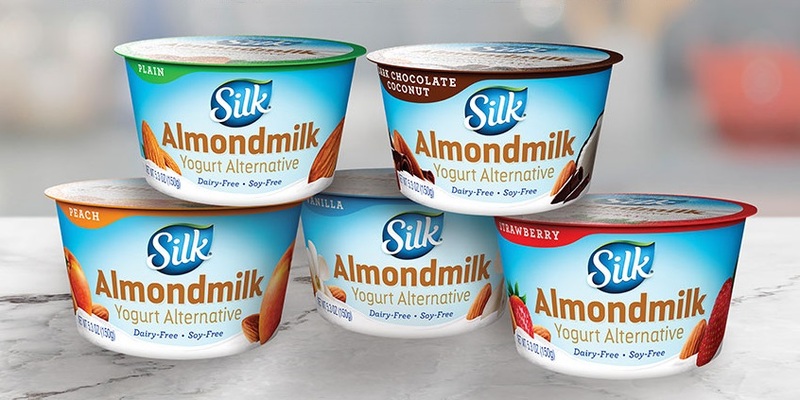 Silk Soy yogurt is my current favorite, but now you have me thinking I need to try out the almond line! I would almost venture to say that if you like the soy line, you will probably like the almond line quite a bit, too. They’re different, but both have “Silk” similarities in the finish and flavors. Silk has a cultured coconut yogurt available in Canada tho’ the pkge says it is a product of the USA. The big factor for me is that the ‘plain’ is unsweetened. I don’t know about the ‘vanilla’ as I haven’t tried it. Yes, I noticed that they have coconut yogurt in Canada, which is so odd because they don’t have coconut yogurt in the U.S.! I never understand these strategies. Thanks for sharing and great to hear that the Plain is good! This is so great. People are always asking me what the best brands are, I can just send them there now! We don’t have all these options in Vancouver yet. I noticed though that Vancouver is growing with options the last time we were up there – so hopefully more will land there soon! I have heard that the Canadian brand Yoso is good – we couldn’t get it down here to taste test. I would look for the unsweetened versions Donna. Many of these brands have unsweetened or low sugar plain varieties which should be less WW points. 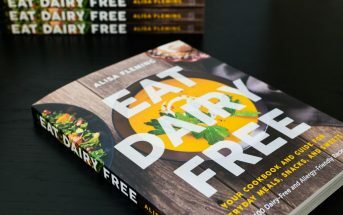 You might also look into unsweetened dairy-free milk alternatives that are fortified with calcium and vitamin D. Most of these will be very low on points (some only 30 calories per cup with 300 to 500mg calcium). You can also buy powdered calcium (we use calcium citrate for better absorption) and add it to foods that are WW approved just before you eat them. I personally add some magnesium citrate, too, as it helps with absorption. I’m so glad you posted this because a client was just asking about DF yogurt! Thank you! Ooh, good timing! I’m glad I can help. Great list! There’s a new yogurt I just tried called Culina made with coconut milk. It’s delicious (very creamy, almost like whipped coconut cream), it has 10 million probiotics in every cup BUT I don’t think it has any calcium or protein.